Connecting the QPilot account you use to power Autoship Cloud on your webstore to other applications is a powerful way to get the most value from your Autoship marketing and customers. With Zapier, you can unleash your Autoship data to over a thousand popular online services for Customers, Analytics, Marketing Automation and more! Want to send data to Infusionsoft after a customer checks out on WooCommerce with a scheduled Autoship order? How about tracking Subscribe and Save sign ups in Google Analytics for the same checkout event? Zapier can help you connect the data in a simple, intuitive interface without the need to code a fresh integration. There's no charge to integrate your QPilot account with Zapier, but make sure you've got the basic needs covered before you get started. You should at least be able to test WooCommerce Checkout successfully (or have already launched Autoship Cloud on your production site) and create Scheduled Orders as a normal customer would. If you can confirm those three basic needs, then you're ready to connect QPilot to Zapier! 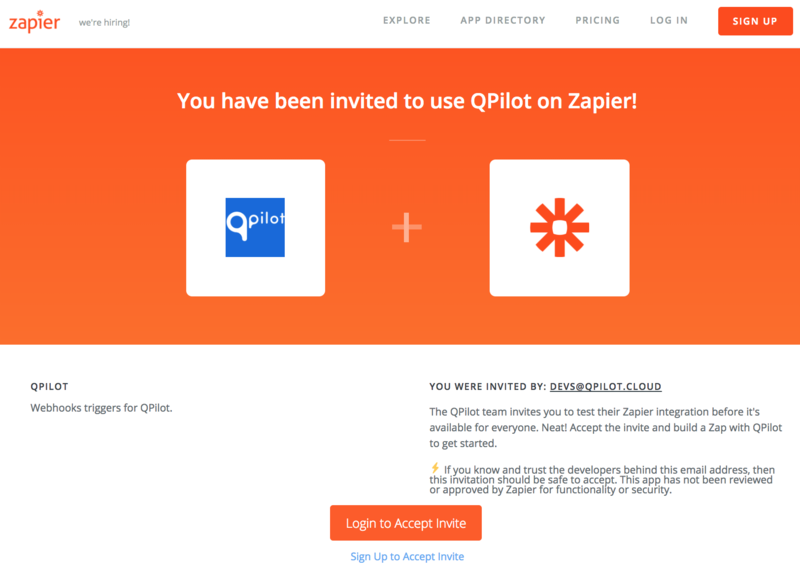 NOTE: The QPilot Zapier integration is available via email invite. To receive an invite, simply contact us with the email you use to manage your Zapier integrations and we will send you a link to access the integration. If you don't have an account with Zapier, you can still send us an email address to invite and you'll be asked to create a Zapier account on signup.